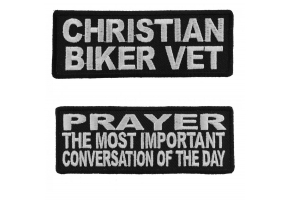 This 10 x 4 inch patch is perfect for those who are proud of their faith. 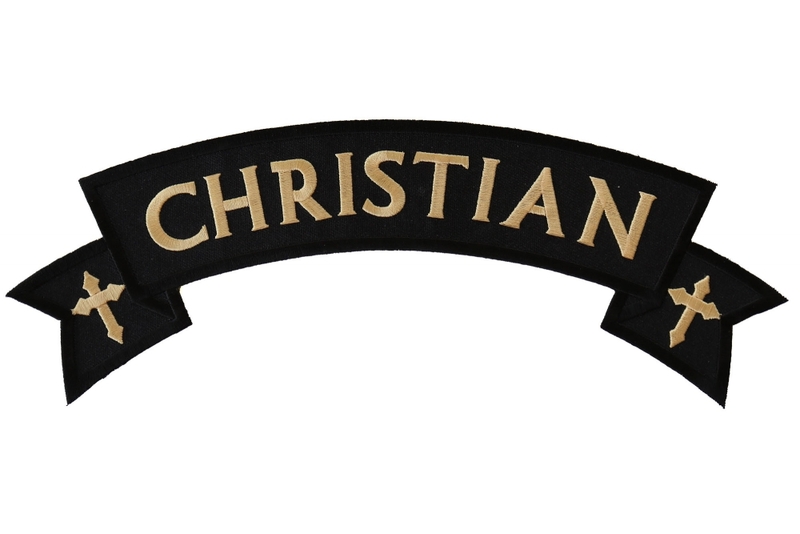 It is a simple design which shows a black banner emblazoned with the word ‘Christian’ on it in stunning gold thread. 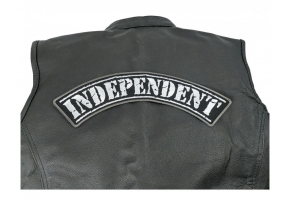 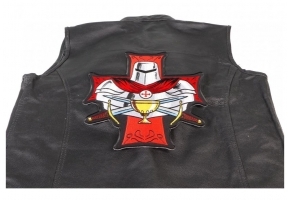 It also features two Christian crosses at either end and will look superb on the back on any jacket or vest. 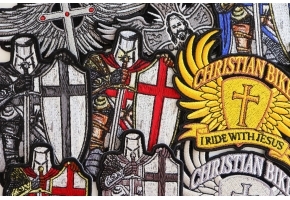 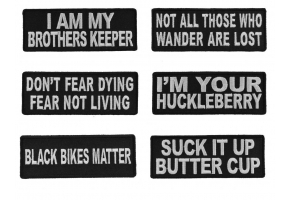 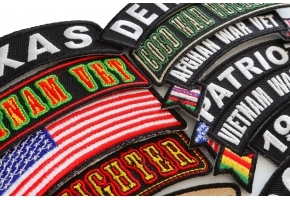 The ‘Christian Rocker’ patch is perfect for applying to the top of your clothing and can be either ironed or sewn on with ease. 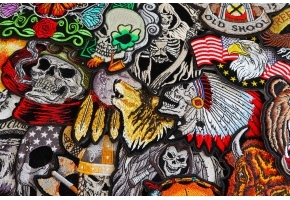 However it is not recommended that you iron this patch on to leather clothing as it will damage your leather. 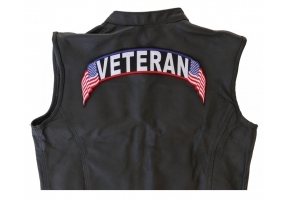 Here is how it looks on a vest. 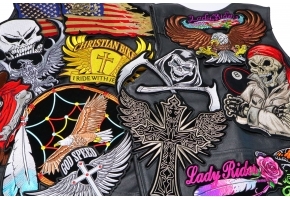 This one was taken over a size 42 inch leather men's vest.